Join us at a joint meeting of the Pottstown School Board and Borough Council on Thursday, January 29th, 7:00 pm at Rupert Elementary School. Mr. Larry Feinberg, a member of the State Circuit Riders team, will talk and answer questions about what is being done to bring fair funding to public education. Hear what your elected officials from both the School Board and the Borough have to say about the issues. Before the meeting, a tour of Rupert will be given at 6:30 pm. See links below for more information. POTTSTOWN — To say that the Pottstown School Board’s newest member is a hometown booster would be a bit of an understatement. Chosen from among four other candidates last week, Katina Bearden took the oath of office Thursday night and will complete the year left in the term of former board vice president Dennis Wausnock who died last month. Born in Pottstown, educated in Pottstown, living in Pottstown and raising her family in Pottstown, you might say Bearden is fond of the place. POTTSTOWN — The school board elected Andrew Kefer as its new vice president Monday night, filling the post left vacant by the Aug. 19 death of Dennis Wausnock . But Kefer’s election did not happen without some objections. Hylton proposed tabling the motion, noting that solicitor Stephen Kalis had confirmed there is no legal requirement that a vice president be appointed immediately. POTTSTOWN — As recently as Aug. 14, Pottstown School Board members were assured by district administrators and construction consultants that renovation and expansion of Rupert Elementary School was on schedule for the opening of school on Sept. 2. But just four days later, the administration announced that the school would not be ready on timeand students and staff would begin school in the former Edgewood Elementary School at 920 Morris St.
Three days after that announcement, frustrated school board members levied criticism at both the planning and execution of the project. “To say I am disappointed in the efforts of the contractor is an understatement,” board member Ron Williams said. Wausnock, 77, died Tuesday at Pottstown Memorial Medical Center after a long battle with congestive heart failure. A U.S. Air Force veteran of the Korean War, Wausnock’s public service included 16 years on the Pottstown Borough Council, where he served as both vice president and president. He was three years into his second four-year term on the Pottstown School Board, also serving as vice president, when he passed away. POTTSTOWN — With a 7-2 vote at its May 15 meeting, the Pottstown School Board adopted a $59.9 million proposed budget that would raise taxes by 2.9 percent if it is adopted unchanged as a final budget in June. Board members Ron Williams and Thomas Hylton cast the only two votes against the proposed budget, which increases spending 5.6 percent and would increase the annual tax bill by $81.91 for the owner of a property assessed at $73,670 — the borough’s median assessment. POTTSTOWN, PA — School taxes may not rise next year if the school board approves a budget that raises them 2.9 percent this year, Superintendent Jeff Sparagana said Thursday night. That was when the proposed $56.4 million Pottstown Schools budget got its first public airing — although few members of the public were in attendance — before the school board’s finance committee. “This is not the year to tie our hands,” Sparagana told the finance committee. Pointing to the $1.5 million in additional debt payments that begin this year to pay for the elementary school renovations; the additional $1.1 in retirement/pension payments and the $625,000 the district needs to start setting aside annually for roof replacements, Sparagana said the administration can balance the budget “without cutting programs and hurting students” with the additional $856,000 a 2.9 percent tax hike generates. POTTSTOWN, PA — Members of the Pottstown School Board showed little interest Thursday in an offer to refurbish the poles that hold up the lights at Grigg Memorial Stadium. Facilities Director Robert Kripplebauer told the board’s facilities committee meeting Thursday that he had been contacted by a company that had read in The Mercury about the board’s decision to take down the lights at the stadium for safety reasons. The company — 18th Century Restorations on Coventryville Road — made a similar offer in 2012 and estimated the cost at that time to refurbish the poles and lights to be $60,000. According to the 2012 quote, which Kripplebauer shared with The Mercury, the work would involve “fabricating new hardware” for the poles and attaching 42 metal straps to keep them in place, as well as epoxy and caulk for cracks in the poles, along with other work. POTTSTOWN, PA — A $1.2 million price tag seems to be a little too high for school officials to bear and the school board is being asked Monday to reject the bid to replace the roof at Rupert Elementary School along with some masonry work. The concern about costs comes as the board is poised to approved more than $225,000 in unbudgeted expense for the construction work at Lincoln, Franklin and Rupert elementary schools. Instead of accepting the $1.2 million roof bid, the administration is urging that other ways of getting the work done be pursued. 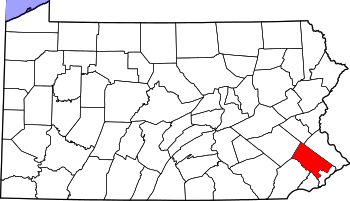 POTTSTOWN, PA — To rank or not to rank? That may soon be the question. Class rank has been a staple of high school life, and college admissions, for years beyond count. But school board member Polly Weand raised the possibility at the Nov. 21 school board meeting that Pottstown may soon opt-out of the practice. Weand, who chairs the school board’s curriculum and technology, said the discussion is underway at her committee, which presumably will make a recommendation to the full board, perhaps as soon as January. POTTSTOWN, PA — With the remaining construction now underway at three elementary schools, the Pottstown School Board is expected to vote at Monday night’s meeting to borrow another $10 million to pay for the project. The board is expected to authorize the preparation of the bond documents at Monday’s meeting and the auction will occur on Oct. 21, said board member Dennis Wausnock, chairman of the school board’s finance committee. Work on Franklin, Lincoln and Rupert elementary schools began in May and continues with students back in Lincoln and Franklin and the population of Rupert being taught in the vacant Edgewood Elementary building, which was officially closed in June. Barth Elementary School, which was officially re-dedicated in a ceremony Saturday, was the first school to be renovated although, unlike the other three, it was not expanded. POTTSTOWN — More than a month after a Pottstown Middle School teacher was charged with aggravated assault of a child, the school district confirmed he will not be returning for the start of the new school year. “Jared Leimeister has been suspended and will not be in the classroom for the 2013-14 school year,” said John Armato, the community relations director for the Pottstown School District. Leimeister was the eighth-grade science teacher. The school district’s website says “TBA” next to the open position. POTTSTOWN — You can add new data system wiring to the things not included in the $14 million price tag for renovation and expansion of three elementary schools in the borough. Thursday night, school board Vice President Robert Hartman Jr., who is also the chairman of the board’s facilities committee, reported that his committee is recommending the additional spending of as much as $375,000 “for data wiring devices installation at Franklin, Lincoln and Rupert elementary schools” according to the agenda of Thursday’s meeting. There was no discussion among the full board, or questions asked by any of the board members, so it was not immediately clear why this was not included in the budget for the broader expansion/renovation project. Work began this summer on the renovations and expansion at the three schools, while work is now being completed at Barth Elementary School, where work began a year earlier. POTTSTOWN — Few changes were unveiled Thursday night when the school board’s finance committee met to review the proposed $53 million budget that would raise property taxes by 2.4 percent, or $65.70 per year, for the average property owners. The 2.4 percent tax hike is the maximum allowed under the state’s Act 1 index without going to the voters for approval. “There really are very minimal changes from the preliminary final budget you approved last month,” Business Manager Linda Adams told the finance committee Thursday night. As with most budget deliberations, there was good news and bad news. Editor’s note: We urge voters to check out the Reform Party candidates for Pottstown Borough Council and mayor of Pottstown. Pottstown desperately needs a leadership change! The elected leadership needs to have a positive vision for the future of the borough. Currently that vision does not exist or if it does, it is a well kept secret. It’s time to clean house. Vote the incumbents out of office. Although the ballot isn’t official yet, primary elections are shaping up in several Montgomery County communities. As of Friday, some candidates had already withdrawn, but so far it looks like there will be three primary battles in Pottstown, but no contest for the school board. In the neighboring Pottsgrove School Board race however, it looks like a real race may be brewing and several tax collector contests are in the offing as well. In the Pottsgrove School Board race, four incumbents — B. Scott Fullmer, Nancy J. Landes, Diane M. Cherico and Michael G. Neiffer — will square off against four challengers. Editor’s note: See what happens when we are all on the same page! This sends a positive signal to the investment community that Pottstown is “OPEN FOR BUSINESS”. This needs to happen more often. Two Thumbs Up to all involved! POTTSTOWN — With a 7-2 vote Monday night, the Pottstown School Board endorsed a property tax break for a business that wants to re-locate to the former 84 Lumber truss plant on Keystone Boulevard. School board members Polly Weand and Andrew Kefer cast the only votes against endorsing the Keystone Opportunity Zone tax exemption for Conshohocken-based Heritage Coach Co., which sells hearses and limousines. The vote comes just three days after state Rep. Mark Painter, D-146th Dist., announced his support for the tax break. Under the terms of the deal negotiated by Schools Superintendent Jeff Sparagana and Borough Manager Mark Flanders, Heritage would pay no property taxes in the first three years of the 10-year deal. The Pottstown School Board is set to vote tonight on a tax break deal that would bring a new business to the Keystone Opportunity Zone. Pottstown Borough Council has approved the tax break, but if the school board votes no, the plan is nixed. The three boards that levy property tax — council, school board and county commissioners — must all approve it for the business to relocate to Pottstown. Montgomery County Commissioners have said they will go along with whatever the two local governing bodies decide. As with council, we urge the school board to vote yes to this proposal as an incentive to business and as a smart move in the longer view of the borough economic development. POTTSTOWN — Just two days after borough council approved a property tax break for a new business proposed along Keystone Boulevard, officials from the borough and West Pottsgrove Township met to brainstorm about extending the road to the Grosstown Road exit off Route 422. The extension of Keystone Boulevard through the former Flagg Brass property in West Pottsgrove and over to the Stowe interchange has long been envisioned and was the subject of an $81,000 study by the Rettew Assoc. engineering firm. Paid for through a grant from the Delaware Valley Regional Planning Commission, the grant brought both municipalities together to plan jointly for the project, which could cost as much as $10 million. Although PennDOT does have plans for a $30 million improvement to the Stowe interchange as part of its long-range plans for upgrading Route 422, Brian Regli, Montgomery County’s Director of Commerce, told the assembled officials not to expect the state to come up with the money for that project any time soon. POTTSTOWN — Sometimes things just fall into your lap just when you need them. Just one day after members of the Pottstown School Board and borough council brainstormed about ways they can work together to cut costs and market Pottstown to a broader region, an opportunity to do just that for free was again presenting itself. During their first joint meeting of the year on Feb. 25, members of both Pottstown boards echoed a common lament, the need to market what Pottstown has to offer to a wider audience, to better coordinate and add to major events and the need for additional funding help from outside sources and the surrounding townships. On Tuesday, the Pottstown Metropolitan Regional Planning Committee heard about an opportunity being developed over the last year with the help of the Pottstown Health and Wellness Foundation to do many of those things at a ridiculously low cost. POTTSTOWN — During the first joint meeting of the year between borough council and the Pottstown School Board, discussion was free-flowing and frequent. Perhaps highest on the list, and the subject which generated the most focused conversation, had to do with a business that wants to occupy the former 84 Lumber truss plant at the end of Keystone Boulevard. Steve Bamford, the director of Pottstown Area Industrial Development Inc. and the borough’s chief economic development officer, gave for the third time, an overview of the Keystone Opportunity Zone program and the request from Heritage Coach Co. to occupy some of the space there.